The departement of the Alpes Maritimes - Pop. 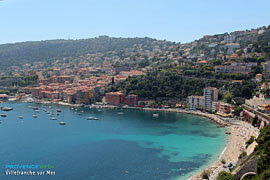 : 7.000 h.
On the coastal road (N98) and the N7 between Nice (5km) and Menton. 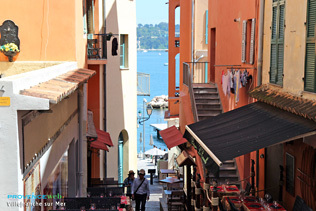 Villefranche sur Mer is situated nearn Nice and Saint Jean Cap Ferrat right in the heart of the most beautiful and rich part of the Cote d'Azur. It's here that the most splendid properties are hidden away, and where the world's millionaires love to spend their holidays. 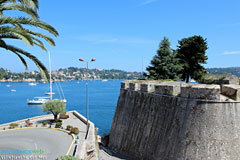 Whether it's summer or winter, Villefranche is a stunning place. 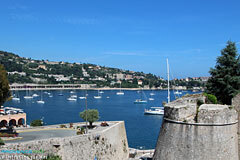 Its superb harbour is known to be one of the most beautiful in the Mediterranean. 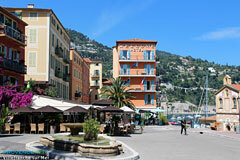 Over-looking the hills and luxurious residences, Villefranche is one of the most exclusive spots on the Cote d'Azur. The port, the citadelle, the old town, and the gentle curve of the coast all contribute to the beauty of the village which dates back to 130 BC. With its colourful fishing boats and nets, the port is both a base for fishermen and tourists, offering numerous cruises in the summer. You can wander along the fishing wharves, bordered by restaurants and their terraces. The Saint Elme citadel which over-looks the sea dates from the 16th century and appears to watch over the old part of the town today. 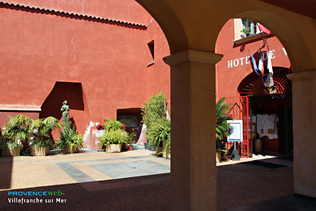 The village houses an auditorium, museums, "la cite des metiers d'art" and hanging gardens. The army left here in 1965, (to their regret no doubt) and left in their place numerous art collections : Art and History museum, the Goetz-Boumeester collection (works by Picasso, Picabia...), the "Fondation-musee Volti" (contemporary sculptures) and even the Alpine-Hunting museums. 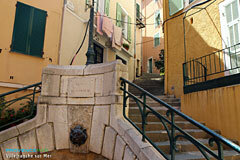 The old village shelters narrow roads and stair-ways with the most evokative names : rue Obscure, rue du Poilu. 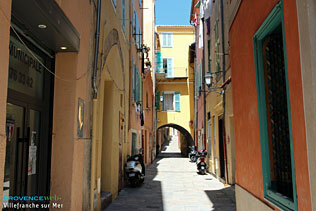 Covered passages lead down to the coloured facades of the ancient houses which have been carefully renovated. With their windows wide open at the height of summer you can hear snatches of lively conversation and smell the mouth-watering Mediterranean cuisine from within. 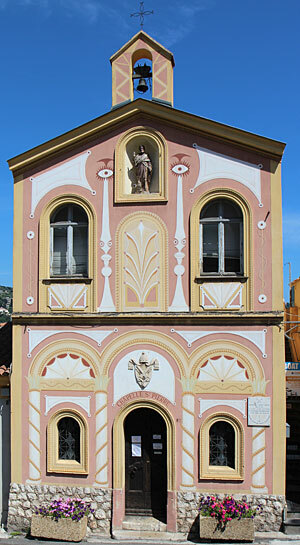 Jean Cocteau, a native of the area, liked to come to Villefranche where he made friends with the fishermen to whom he dedicated his re-decoration of the Chapelle Saint-Pierre... a site not to be missed. 16th century Citadelle Saint Elme. Chapelle St Pierre decorated by Cocteau. Villefranche church. St Michel chapel. Sea excursions. Sailing. Fishing. Water ski-ing. Swimming. Volti, Goetz and Boumeester Museums. Open-air cinema. Open-air theatre, the citadelle. 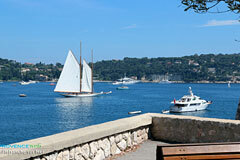 Beaulieu sur Mer (3km), St Jean Cap Ferrat (3km), Nice (5km).